worked to wrap around your wrist. reflect the light with flashes and flecks of flame. just the bent reflection of what is around you. I can hand engrave your bracelet with my signature inside. 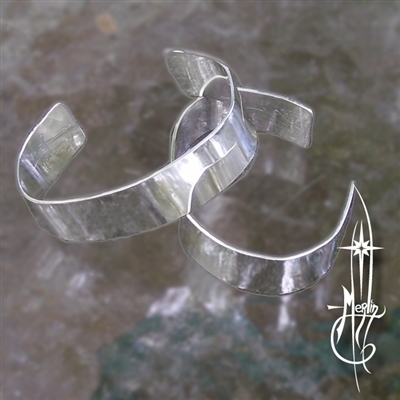 an example may be found at a custom bracelet page. please visit my Custom Jewelry Page.